In Thy National Park you have Agger with beautiful wide beaches and unspoiled nature with sanctuary for a lot of different birds at a isthmus. The city is surrounded by the sea, an inlet and a lake, where there are excellent surfing and fishing opportunities all 3 places. 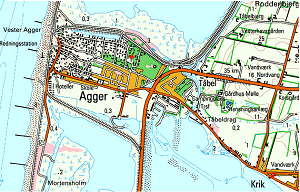 From Agger, you can bike or walk to Lodbjerg Klitplantage with beautiful hiking conditions in the forest. 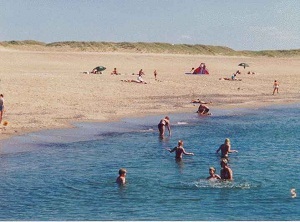 In Thy you have 2 golf courses Sydthy and Nystrup, and a Water World combined with a wellness center in Hurup. Must be ordered when you sign the rent contract!